BROWNSBURG, Ind. 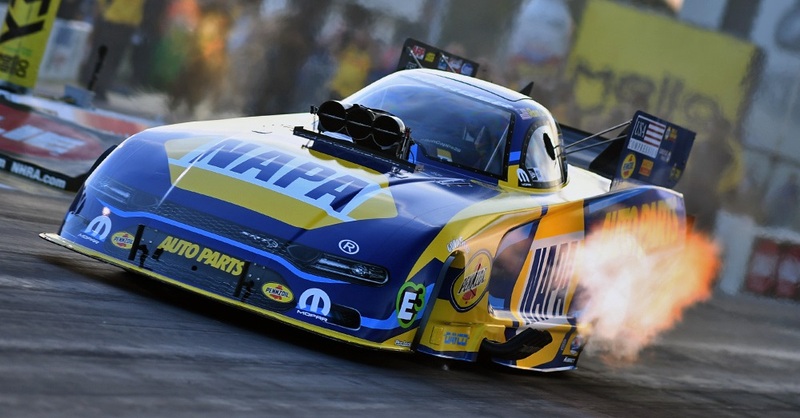 (Oct. 26, 2016) – If Ron Capps wins his first NHRA Funny Car world championship this year after finishing second a record four times, the popular driver of the NAPA AUTO PARTS Dodge Charger R/T could reflect on two of the most disappointing days of his career as turning points that led to earning the ultimate prize. In 2012, Capps’ team failed to qualify for eliminations in the spring race at Las Vegas but that led to team owner Don Schumacher making an immediate crew chief change within his Don Schumacher Racing organization and aligned Capps with multi-time world champion Rahn Tobler to lead the charge for the NAPA team. And in this year’s Las Vegas spring race Capps again didn’t qualify, just six weeks after winning the season-opener. That’s only two of three times in the past five seasons. “It might be hard for fans to understand but those DNQs are a couple reasons why we’re in this position,” said current points leader Capps, who ranks second all-time in Funny Car titles with 49 in 481 events over his 22-year career including a career-best tying five this year with two races remaining. 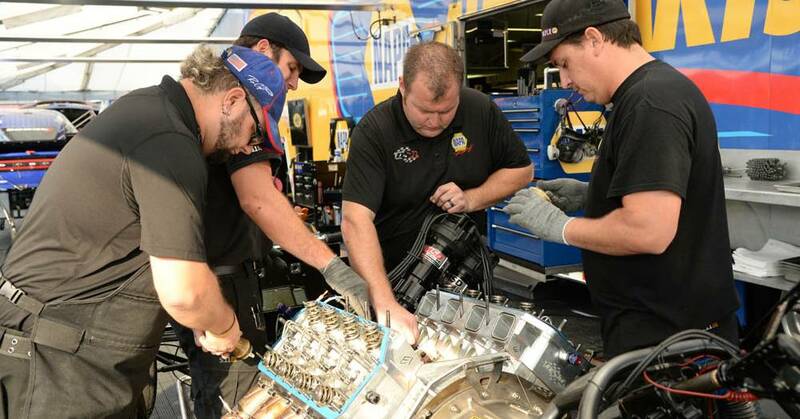 Tobler with assistant Eric Lane and the veteran NAPA Crew have helped Capps to what will be the best year of his career regardless of where they finish in the standings. With two events left this weekend at Las Vegas and two weeks later at Pomona, Calif., Capps has set personal bests for most final rounds (10), most No. 1 qualifying positions (4) and most round wins (51). He’s also recorded his quickest (3.843 seconds) and fastest (330.23 mph) runs of his career. 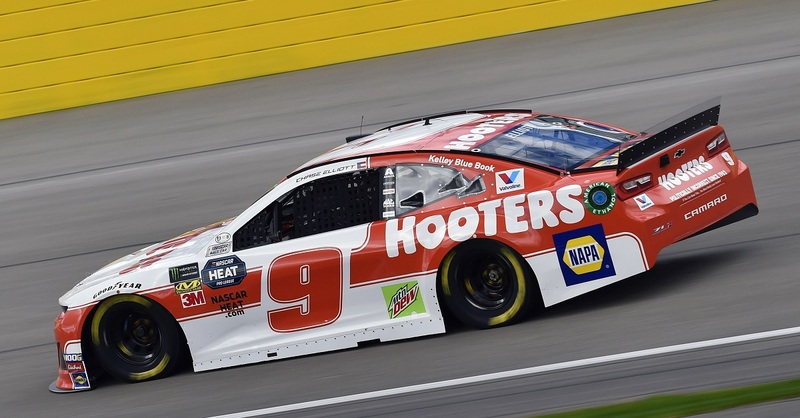 “We have eight qualifying sessions left and as many as eight elimination rounds so there is so much racing left that anything can happen,” he said of his 64-point lead with the three closest to him being DSR Dodge teammates; Tommy Johnson Jr. is second, Matt Hagan 88 back and Jack Beckman trailing by 131. A driver can clinch the championship if he leaves Las Vegas with a 131-point lead. The most points a driver can earn at a Mello Yello event is 130. Beckman edged Capps for the 2012 championship by two points, which is the closest margin in NHRA nitro history. It was the fourth time Capps was runner-up for the world title. 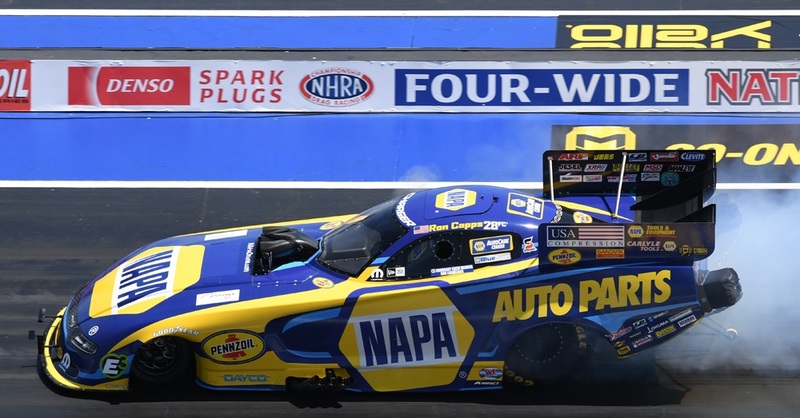 “You try not to think about the championship, but it’s hard,” said Capps, who advanced to the past two final rounds after opening the six-race Countdown to the Championship playoff with a pair of semifinal finishes. “I’ve been trying to keep busy and not think a lot about it. We’re driving 330-mph Funny Cars with nitro in the tank so anything can happen. 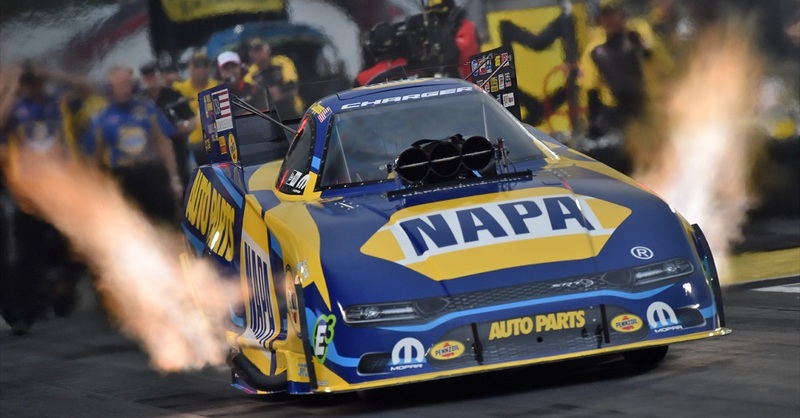 Despite those two low moments at Las Vegas events in April, Capps is tied for the most Funny Car titles at the track on the strength of winning four trophies in fall races since the inaugural race in 2002. Last Fall at Las Vegas: Qualified No. 5, lost in semifinals to Tommy Johnson Jr.